DemoCurmudgeon: State Conservative Activist Supreme Court Justices just gave law enforcement the "freedom and liberty" to perform illegal searches. State Conservative Activist Supreme Court Justices just gave law enforcement the "freedom and liberty" to perform illegal searches. The Republican protectors of “freedom and liberty?” Guess again. Welcome to our big bold police state. You have to wonder if this is all part of their grand scheme. Wisconsin's conservative Supreme Court Justices just shredded the state Constitution, again, this time allowing for illegal searches based on a mistake and misinterpretation of the law. We can now be stopped and searched on a whim, while letting law enforcement come up with an excuse the to fit the occasion. WPR: Wisconsin Supreme Court Ruling Expands Justifications For Police Stops: Case Involved Man Arrested For Drugs After He Was Pulled Over By Mistake … Hanna Schieber Jurss, a state public defender said that means motorists may be stopped even if they haven't violated any law. (The man’s) attorney Andrew Walter agrees: "I don't know how citizens can avoid being stopped because now it's not enough to follow the law. You also have to make sure your conduct is within this broader prohibition of things where an officer might believe is illegal even when it's not" … a significant reduction in the liberties of all state residents. 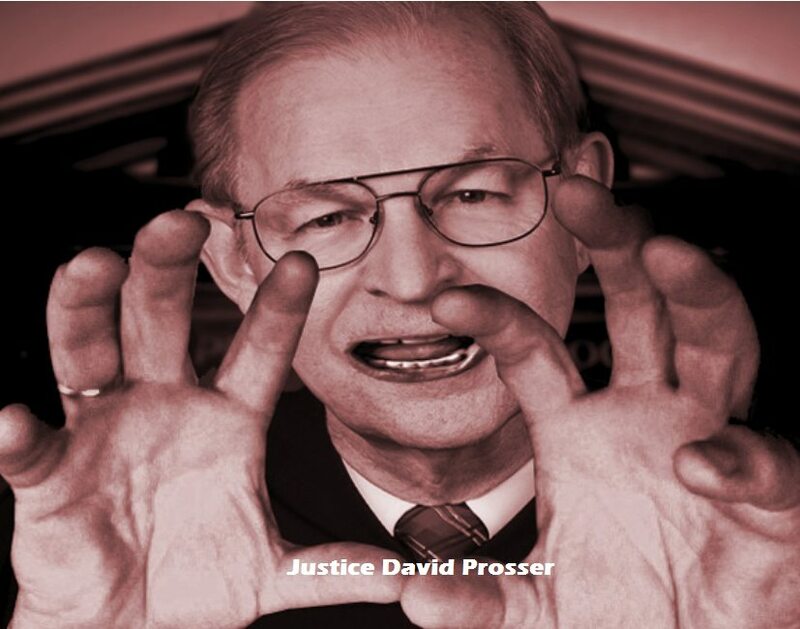 Justice David Prosser cited a recent U.S. Supreme Court ruling that sets the same standard Wisconsin is now adopting. That case, Heien v. North Carolina was decided last year … Chief Justice John Roberts said, "The question here is whether reasonable suspicion can rest on a mistaken understanding of the scope of a legal prohibition. We hold that it can." But that flies in the face of previous decisions made based on Wisconsin’s own Constitution, which continues to protect citizens from unreasonable searches. Who wants to give that up? Attorney Andrew Walter said there is no requirement that the Wisconsin court follow the U.S. Supreme Court's interpretation of the 4th Amendment … the high court ruling also made it clear that such cases where searches are justified on the basis of an officer's mistaken interpretation of law should be very rare and that most mistakes of law are not going to be reasonable. 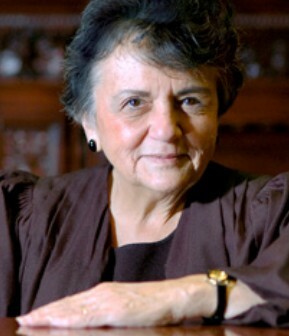 SHIRLEY S. ABRAHAMSON, J. (dissenting) … “the majority opinion adopts a new interpretation of Article I, Section 11 of the Wisconsin Constitution. It does so solely in order to remain in lockstep with the United States Supreme Court's interpretation … What happened to precedent and stare decisis? In Brown and Longcore, an opinion released just last year, this court held that reasonable suspicion for a traffic stop cannot rest on a law enforcement officer's mistake of law … The drafters of the Wisconsin Constitution could have simply said "ditto" and incorporated the federal Bill of Rights into the Wisconsin Constitution. But they did not. This court is in effect replacing Wisconsin's Declaration of Rights with its federal counterpart. This court is not taking seriously the Justices' oath of office to support the Wisconsin Constitution. More specifically, declining to exclude evidence that was gathered from a traffic stop premised on a law enforcement officer's erroneous view of the law "would remove the incentive for police to make certain that they properly understand the law that they are entrusted to enforce and obey." Sotomayor: "The notion that the law is definite and knowable sits at the foundation of our legal system. Yet, Heien gives those who enforce the law leeway in interpreting and understanding it … Heien is a significant expansion of officers' authority and leads one to wonder "how a citizen seeking to be law-abiding and to structure his or her behavior to avoid these invasive, frightening, and humiliating encounters could do so." Abrahamson: “Both precedent and policy compel me to conclude that a traffic stop premised on a law enforcement officer's mistake of law is unreasonable and thus unlawful under Article I, Section 11 of the Wisconsin Constitution.